Did you know that Samford Commons has enabled the Samford Community Library ‘Stage One’ to be ready to welcome borrowers! Because of the community’s generosity, they can now share books, DVDs, CDs, magazines and puzzles. Borrow (5 items for any person at a time) for a small yearly subscription of $5 for an individual or $10 for a family! They are open on Wednesdays from 9 to 5 and Saturdays 2 to 5. All welcome to come on those days to read or chat or discuss books. 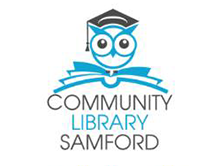 The pop up library is located in the blue building onsite at Samford Commons, 2204 Mt Samson Rd, Samford.